A new contract will be imposed on junior doctors after negotiations with the British Medical Association (BMA) failed, Jeremy Hunt has said. The health secretary announced that talks to settle the dispute with junior doctors had failed and that a new contract would be imposed from August 1, setting the scene for renewed confrontation and the possibility of further strikes. Hunt said the process had created “considerable dismay” among junior doctors but he felt that, given time, the contract would be accepted as a good thing. 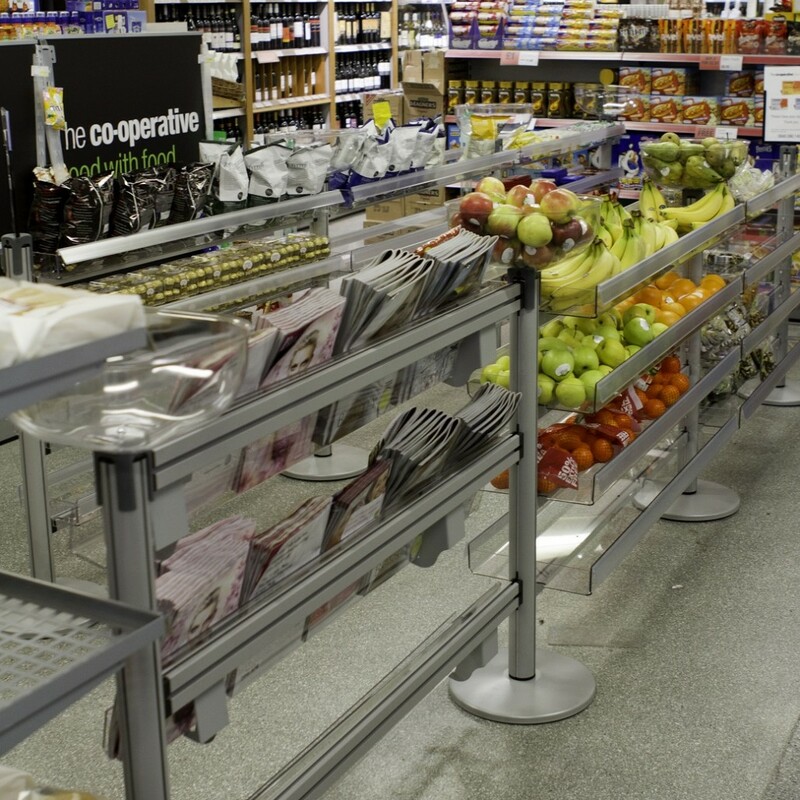 The health secretary said those working one in four or more Saturdays will receive a pay premium of 30%. It does represent a reduction in current rates, because hospitals must be able to afford additional weekend rostering, he said. The government will also give doctors a basic pay rise of 13.5%. Hunt paid tribute to the government’s chief negotiator, Sir David Dalton , who he said had reached agreement on 90% of issues. But Dalton and NHS England’s chief executive, Simon Stevens, had asked him to end the uncertainty, and Hunt said he has decided to do that. Hunt said the negotiating process had uncovered some “wider and more deep-seated issues relating to junior doctors’ morale” and announced a government review to address wider concerns from doctors. 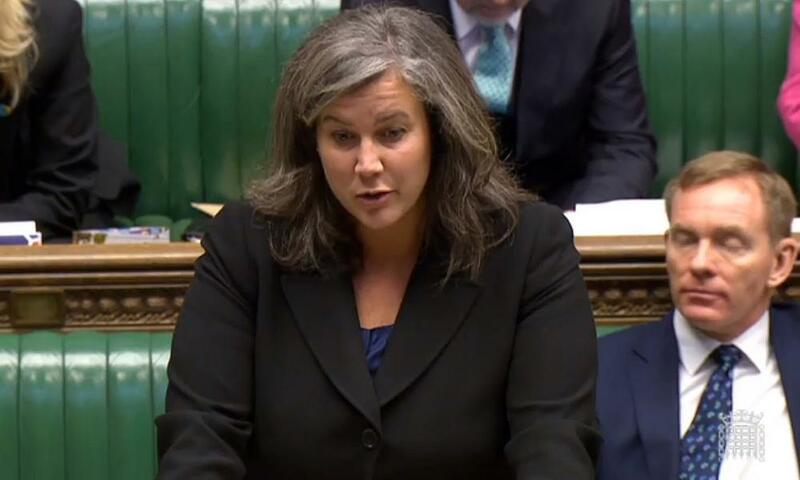 Shadow health secretary Heidi Alexander said the imposition of the contract “could amount to the biggest gamble with patient safety this House has ever seen” and said it was an admission of failure. Hunt has finished taking questions on his statement. Here’s some of the latest reaction on Twitter to the news he will impose the contract. If current and earlier docs offer both “cost neutral”, there is something very wrong with way @Jeremy_Hunt & Health Dept do their sums! Jeremy Hunt should be forced onto Question Time this evening so he can’t hide away this evening after forcing his Junior Doctor contract. 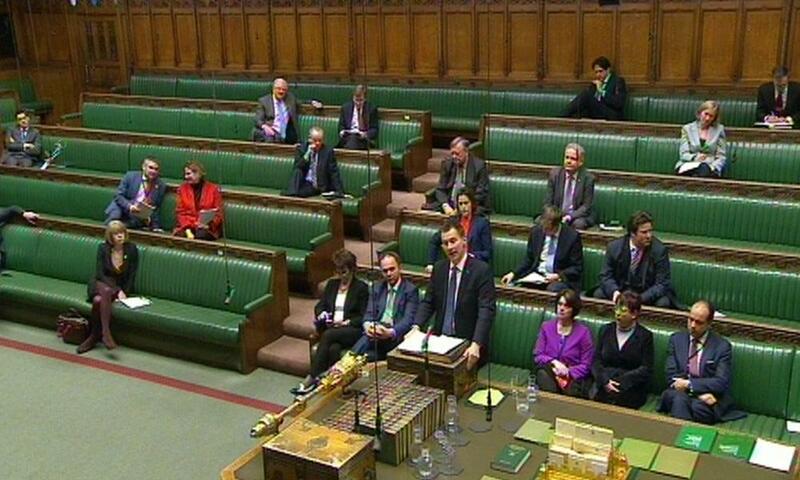 Many MPs are bringing up the effects of imposition of the contract on morale and recruitment. That’s what we’re trying to put right. In the end, the government have to decide what is right for patients and services as well as right for doctors. Jack Dromey, Labour MP, asks if Hunt is proud that he has alienated junior doctors, and patronised them by saying they did not understand what was on offer. Hunt says Dromey “can do a lot better than that” but insists the BMA would not meet the government without pre-conditions until December this year, when they had already balloted for industrial action. Here’s the full statement from Labour’s shadow health secretary Heidi Alexander to Jeremy Hunt a few minutes ago. This whole dispute could have been handled so differently. The Health Secretary’s failure to listen to junior doctors, his deeply dubious misrepresentation of research about care at weekends and his desire to make these contract negotiations into a symbolic fight for delivery of seven-day day services has led to a situation which has been unprecedented in my lifetime. Everyone, including the BMA, agrees with the need to reform the current contract. But hardly anyone thinks the need to do that is so urgent that it justifies imposition, and all the chaos that will bring. One of the hospital chief executives who the Secretary of State claims is supporting him has tweeted this morning: “I have supported the view that the offer made is reasonable… I have not supported contract imposition”. Can the Health Secretary not see that imposing a new contract which doesn’t enjoy the confidence of junior doctors will destroy morale which is already at rock bottom? Does he not realise that this decision could lead to a protracted period of industrial action which will be distressing for everyone – patients, doctors, everyone who works in or depends upon the NHS? A poll earlier this week found that nearly 90 per cent of junior doctors are prepared to leave the NHS if a contract is imposed. The Health Secretary needs to stop behaving like a recruiting agent for Australian hospitals and start acting like the Secretary of State for our NHS. The Health Secretary has been keen to present a new junior doctor contract as the key which unlocks the delivery of 7 day services. This is a massive oversimplification and he knows it. Whilst research shows a higher mortality rate amongst patients admitted to hospital at the weekend, there is absolutely no evidence which shows a lack of junior doctors specifically causes this. What we heard from the Secretary of State today could amount to the biggest gamble with patient safety this House has ever seen. He has failed to win the trust of the very people who keep our hospitals running and he has failed to convince the public of his grounds for change. Imposing a contract is a sign of failure. It’s about time the Secretary of State realised that. He says he will continue to engage with doctors directly. Here’s some of the first reactions from junior doctors, students and others to Hunt’s confirmation that he will be imposing the contract. Labour MP Barry Gardiner says it is logical to assume the problem he is trying to solve will get worse as fewer doctors join the NHS. Hunt says there are 10,600 more than five years ago. There have been a lot of smoke and mirrors about what the contract proposal is. I hope all trainees and medical students look at the proposal that independent experts believe fair and reasonable and we will continue to recruit more doctors into the NHS. Hunt is challenge on his statistics on weekend death rates by the SNP’s Philippa Whitford, who is a doctor, who points out studies show that nurses are more important to mortality. Hunt calls her comments “immensely more constructive” than Labour’s, but says the contract will be looked back on as a major step forward for a seven-day NHS. Conservative MP Dr Sarah Wollaston, a former GP, said the BMA should welcome the inquiry into morale announced today and asks that both sides move forward in a positive way and “take the temperature down”. Here’s a list of the NHS chief executives backing the imposition of the contract. @cpeedell I have not supported contract imposition. I have supported the view that the offer made is reasonable. Heidi Alexander, the shadow health secretary, says the imposition of the contract will “destroy morale” among junior doctors and says Hunt’s statistics on weekend death rates are “deeply dubious”. She cites the number of doctors moving to Australia to work, saying the UK should not train doctors to export them to the Southern hemisphere. This could be the biggest gamble with patient safety this house has ever seen. Imposing a contract is a sign of failure and it is about time the Secretary of State realised that. Hunt said the process has “uncovered deep seated concerns about morale, well-being and quality of life” and he cites separation from spouse and families on placements and inadequate support from seniors. He has asked Dame Sue Bailey, president of the Academy of Medical Royal Colleges, to lead a review into measures outside the contract that will improve morale. Hunt says the government’s “door remained open” for three years and said the departments showed a willingness to negotiate time and again. He refers to eight studies on weekend death rates, and said that six pointed to inadequate staffing levels. 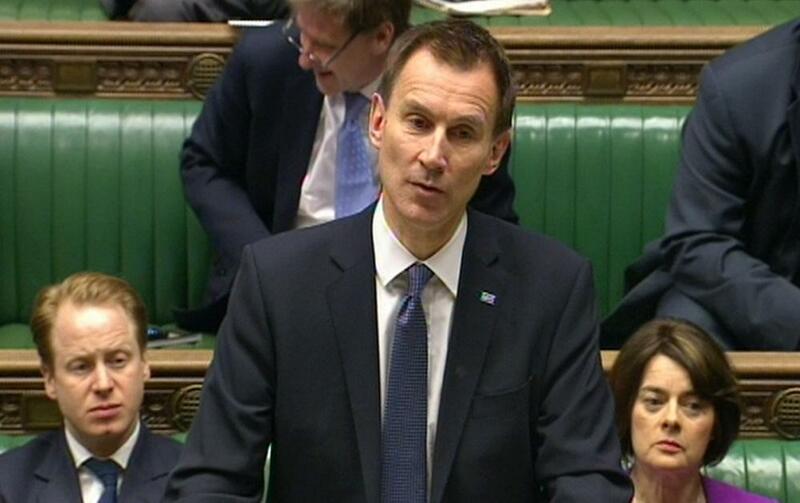 Hunt says those working one in four or more Saturdays will receive a pay premium of 30%. It does represent a reduction in current rates, because hospitals must be able to afford additional weekend restoring. Hunt pays tribute to the chief negotiator, Sir David Dalton, who he said has reached agreement on 90% of issues. 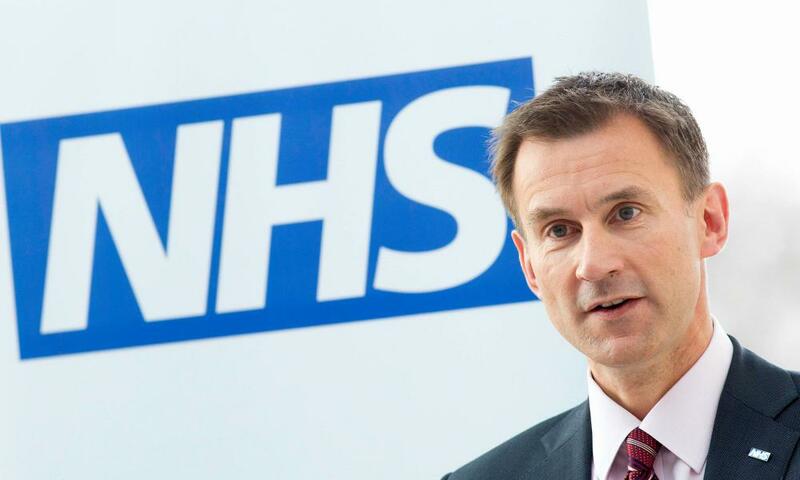 But Sir David and NHS England’s chief executive, Simon Stevens had asked him to end the uncertainty, and Hunt said he has decided to do that today. I’m switching now to cover Jeremy Hunt’s statement on the junior doctors’ contract in the House of Commons, he’s expected to impose the contract on the doctors this summer. Labour MP Caroline Flint asks why HMRC hasn’t applied any penalties to Google for non-payment of tax over the last five years. It is very difficult to argue they have taken insufficient care, even if they have come to the wrong conclusion in their accounting, Harra said. Flint says that the lawyers and tax experts of Google have “out- manoeuvred” HMRC and says there is “considerable public anger”. Lin Homer is going back to the letter sent last night to the committee. The letter contained taxpayer-confidential information, she said, which they needed Google permission to make public. She insists the information was intended to be aired in the committee. The SNP’s Deirdre Brock said the committee does not need the exact numbers. What they need to know is, is every business treated the same, even small shops in her constituencies? It is exactly the same process, Brock said, though admits the average length of an investigation is 22 months so “this was a long one”. Jim Harra, HMRC’s Director General for Business Tax says he does not have a figure for how much the six-year investigation into Google has cost the taxpayer. Obviously, us conducting a six year audit is a very expensive and resource intensive process which, obviously, I wish we didn’t have to do. They do not usually take six years. It is a new area of the economy. [For companies like Google] their scale and business model and ways their customers behave change all the time. we can’t just look at one year and extrapolate that to other year. It was long, resource-intensive and pain-staking. Up next is HMRC’s turn to be probed over the tax arrangment with Google, and corporate tax deals more generally. In front of the committee is Dame Lin Homer, chief executive and permanent secretary, Jim Harra, director general of business tax and Edward Troup, tax assurance commissioner. Hillier reveals that the committee received a letter yesterday offering some confidential background information about the HMRC and Google deal. Homer admits that letter was co-ordinated with Google, offering to share more information about the deal with the PAC. Hillier said the approach was disappointing. We want answers about this in public, so taxpayers hear the answers too. Last minute, confidential information does not help that. We want to talk openly and honestly. I don’t need to remind you that you are public servants. I was disappointed with that approach. Here’s some reaction from the Twitter-sphere about the Google executives in front of the PAC. Bonkers of Google to pretend that *its* tax complexity is a function of tax rules. It’s a function of Google’s choices. Hillier concludes by calling on the company to be more transparent. Why don’t you lead by example to provide more information to the general public and to other countries? If you want your staff to be proud, if you want to do good in the world, then why can’t you tell the ordinary British taxpayer how your settlement was reached? Hutchinson said no company has ever provided as much detail on a tax settlement as Google, but he cannot say more because it is commercially sensitive. Back at the PAC, Richard Bacon MP is still pressing the Google executives on the exact pre-tax profit of Google of which 19% tax was paid. I’m trying to express myself clearly. You paid tax at 19%, which must be 19% of something. You have said several times that you pay it at 19%. You answer that by saying that is spread over 5 years. I can’t understand why you don’t know that. I don’t understand why you don’t have that figures now. I’m very surprised you don’t know it. While I’ve been focussed on the Google evidence at the select committee, Chris Bryant, the shadow leader of the house, has been asking an urgent question on short money in the House of Commons, relating to the funding of political parties. He called George’s Osborne’s plans to cut the funding of state grants to opposition political parties by 19% as “shabby”. Bryant said Commons Leader Chris Grayling had failed to turn up for three meetings yesterday on the issue. Why, frankly, isn’t the Leader of the House doing his proper job and standing at the despatch box today? What’s the word for this behaviour? Is it shabby, tawdry or just downright cynical? Here’s the report from the Press Association of the exchange between Bryant and Cabinet Office Minister John Penrose. Replying to an urgent question from Labour, Cabinet Office Minister John Penrose told MPs a consultation will start “shortly”. Opening his remarks, Mr Bryant quoted previous Conservative comments objecting to opposition parties being under-resourced at a time when spending has increased on taxpayer-funded special advisers. He said: “In opposition the Prime Minister said he would cut the number and cost of special advisers, yet in Government he has appointed 27 more special advisers than ever before and the cost has gone up to the taxpayer by 2.5 million a year. “In opposition, the Conservatives banked 46 million a year in short money but in Government they want to cut short money by 20% for the Opposition. “There’s a word for that Mr Speaker but it’s not parliamentary. “How can it be right for the Government to cut the policy development grant for political parties by 19% when it’s not cutting the amount of money spent on special advisers of its own? “Surely history has taught us that an overweening executive is always a mistake. Mr Byrant said the Government has been briefing journalists that its proposals will be published on Friday – when Parliament is in recess. Hutchinson says Google is paying what they think is a “reasonable” amount of tax – 19%. Mowat said if that is the case, why do they book sales in Ireland, channel business through the Netherlands and Bermuda? If we did have our UK office selling directly to UK customers, that would be a change in our structure, but would not change that the tax rules require you pay tax in the UK relating to the value of the profits generated in the UK? Tory MP David Mowat concedes Google has paid “probably the right amount of tax” given its exceptionally complex tax structures. But he says it is not the correct moral course. You use Ireland, Holland, Bermuda. Doesn’t it bother you some of your employees might bail out over that? Hutchinson said it was not a negotiated tax settlement. There was not a number that was thrown out by HMRC and we negotiated it down. That is not the way the process worked. Bacon said the row is ruining the reputation of the internet giant. This is staining your reputations. You have chosen to take very complex routes. You can’t like the fact that lots of people hate you because of this. Why don’t you face up to that? Brittin said they cannot pay more than the government demands of them. We have reached the end of a lengthy independent process. At the end of the process, the HMRC told us exactly the right amount to pay and we are paying it. We have just finished an intensive review with tax specialists where they decided this is the right amount to pay. We believe we are [paying the right amount] because this is what we are asked to pay. An extraordinary response to a question from Tory MP Richard Bacon. Can you tell me the number on which you paid tax at 20%? Brittin said he does not have the profit numbers in front of him. Hutchinson said he also does not have the exact numbers of how much tax was paid in the UK. Bacon himself uses a calculator to work out the profits on activities in the UK – around £230m. Why did it take you take six years – as long as the second world war – to explain your activities adequately to HMRC? Are you saying it’s HMRC’s fault for being so slow. Either you’re bad at explaining or they are very thick at understanding. 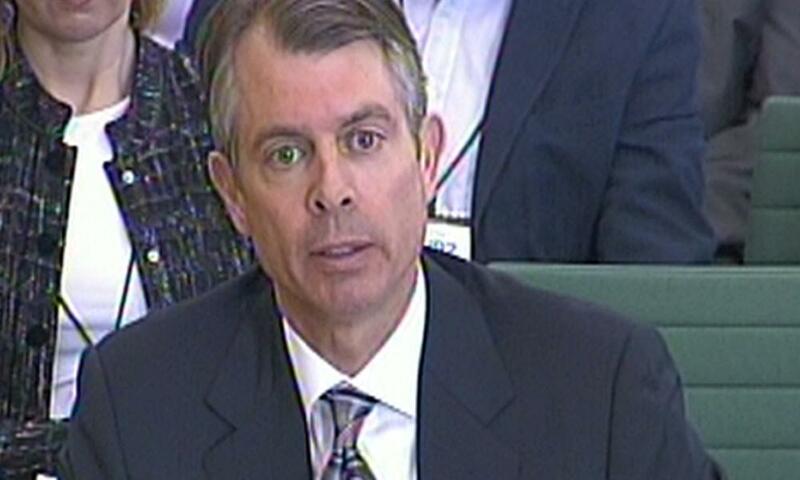 Brittin said HMRC interviewed people at Google “from top-to-bottom” to try to understand the way the business operates. It’s incredible that it takes six years to explain what the internet is, Bacon said. 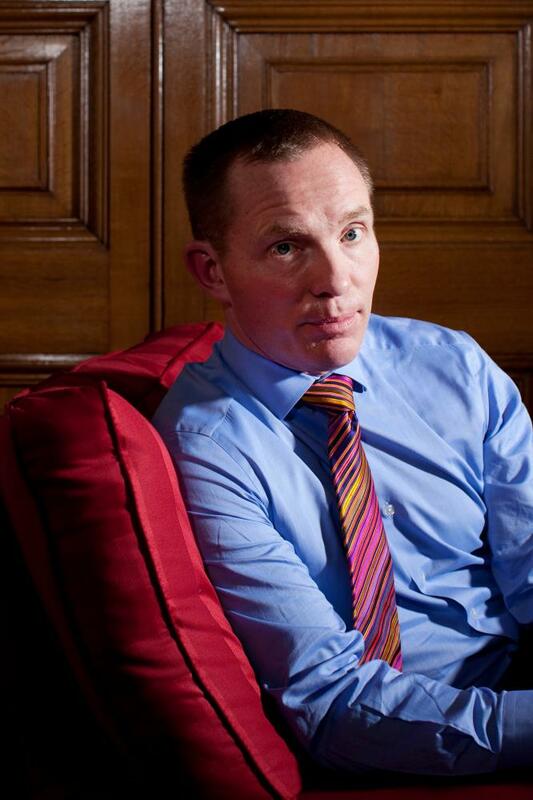 Tom Hutchinson has repeatedly insisted the company’s tax arrangements in Bermuda have no impact on the tax paid in the UK. Jolyon Maugham QC, a barrister specialising in tax, says this cannot possibly be the case. Bermuda *does* have an impact on tax paid in the UK. Without the Bermuda tax haven Google would have no incentive to avoid UK taxes. There is robust laughter in the room as Brittin attempts to suggest that Ireland is a good base for Google because of the numbers of languages spoken by staff. “Not for tax reasons?” Mowat says. Brittin admits favourable tax arrangements were one of the reasons, as well as lower property prices and good internet connections across the Atlantic. Conservative MP David Mowat mockingly said it is “laudable” that Google says it wants a simpler tax system, but says the company cannot blame the UK for having a complex system because its company has a complex structure. It wasn’t us who decided to say all our sales were booked in Dublin. It wasn’t us that decided that the ways you were going to choose to operate by using ‘the double Irish’. You tell us you want a transparent system. Yet you use the double Irish, you use the Dutch Sandwich, you use Bermuda. Your argument is everyone else does it so we do. Tom Hutchinson, Google’s head of tax, is adamant that it is the tax system, not the company, which is to blame for the current row. He’s clearly not exactly enjoying his time in front of the committee. I would love to see the system be more simple so we won’t have to come to meetings like this and explain it, but we need the governments to work together and develop an overall worldwide system. Flint draws attention to more than 20 meetings which Google had with ministers over the past five years and asks if the tax question “ever came up”. 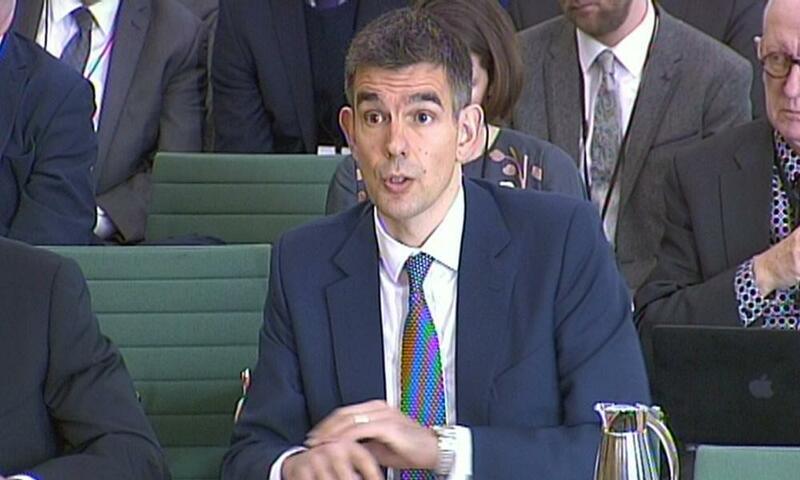 Brittin says there has been no political involvement in the deal with HMRC. Flint and Hillier says that is not the question. Brittin says they have never sought a meeting with government over tax deals. Again, Flint said, that is not the question. I’m sure, given the scrutiny, we’ve had that the tax issue will have come up from time to time. You’d be surprised if you didn’t given the scrutiny. Google and government had informal chats about their tax arrangements. Wonder what was said? Caroline Flint is speaking now. She asks about the remaining £112m paid in tax, because the other £18m was interest, and asks if any fines were paid. Hutchinson says not. Flint asks if Google thinks it is a fair settlement. Hutchinson says he thinks it is, after an extensive audit. “It was higher than we paid on returns,” he said. 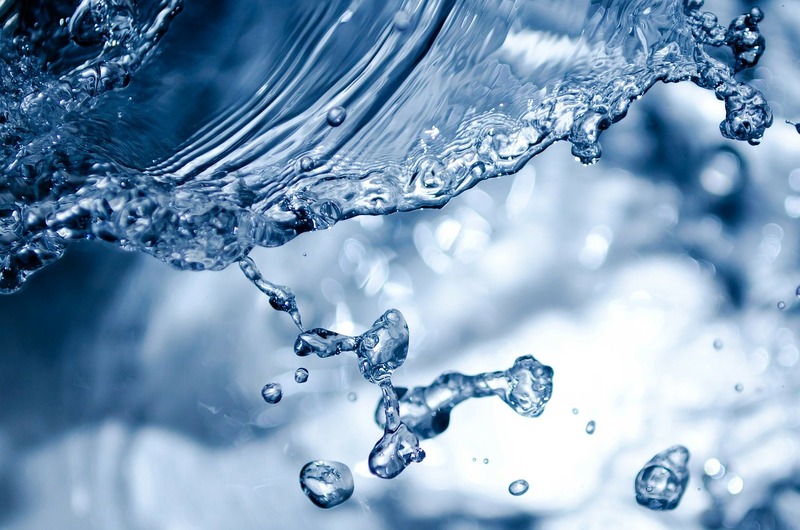 “So, why weren’t you paying it in the tax years during that six-year period?” Flint said. It’s a good question, Hutchinson admitted, to some murmurings in the room. Flint says the public will be incredulous. The public tuning into this will be asking themselves, how can a massive company like Google, with all the expertise that it hires, how can HMRC not, in real time, tackle the problems of how you pay your tax? Brittin said the reports were just statements by politicians in those countries, “politicians who would like to see tax paid in proportion to sales”, rather than actual deals. Hutchinson goes further, and says the British tax settlement is the highest ever paid. Those are articles that are not based on facts. I can say, we have never paid, as part of an audit outside the US, we have never paid a larger settlement than the one we just agreed to. Tom Hutchinson, Google’s head of tax, repeats Brittin’s point that profits Google makes from UK customers are related to the value created outside the UK, the technology of the Google search engine. Look at the value of the substance of the values for services in the UK, what would you pay a third party? That’s what we did doing our tax returns, HMRC came back and argued that should be a higher amount, that’s what we ended up paying. Jackson asks him whether it is true that Google have had “involved” discussions with Italy and France over their tax affairs, which Hutchinson refuses to comment on. It has been reported the web giant is set to pay the French government more than three times what it has paid HMRC. “You knew that would put pressure on the Treasure and HMRC,” he said. Stewart Jackson accuses Google of using tax press release as a “dead cat”. Dead cats have definitely jumped the shark. He also calls the article Brittin wrote in the Telegraph, on reformation of international tax, as Google posing as “a disinterested observer”. You have made a choice to avoid tax, and you have set up structures specifically to do so. I think there’s an element here of we are doing the UK taxpayer a favour by paying tax. Quite frankly, if i hadn’t disclosed between 2005 to 2015 all the circumstances of my income I would be in trouble with HMRC. Why are you different? Brittin said the audit was a way for HMRC was to understand “the nature of internet business”. Most of the value is created by the search, which is developed and built in the US, some is created by the marketing but most by the search. There are 20,000 engineers in the US, and 1,000 in the UK. The rules require you to pay your tax based on the economic value creation. 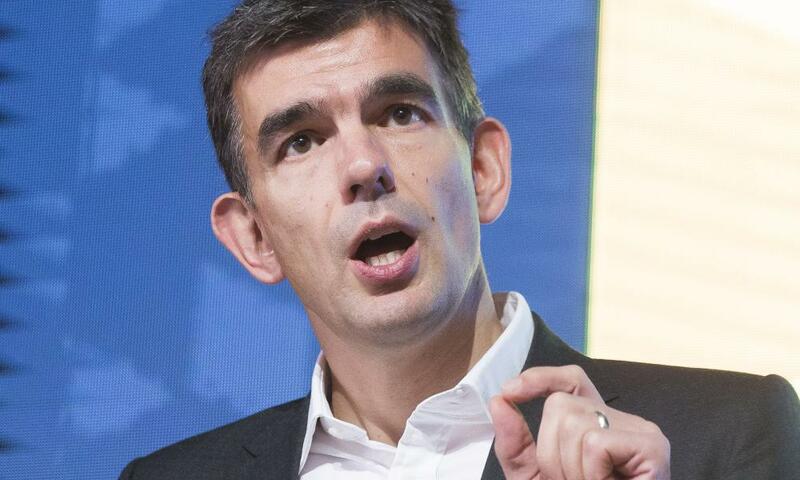 Google’s Brittin says he wants to clarify the most recent tax bill that attracted the negative attention. He says that of the £130 million it paid in back taxes, £18 million was interest and the rest is tax. Brittin is asked the cost of Google’s new base in Kings Cross, which he says has cost around £1bn. He insists that despite the size and cost of the building, the global operation’s headquarters are still based in Ireland. “Frankly you are taxing already my patience and the patience of the hard-working taxpayer out there,” Hillier says. Meg Hillier MP is quizzing Matt Brittin, current President of EMEA Business & Operations for Google, and the exchange is already pretty testy. We are here for taxpayers in Britain, do you hear the anger and the frustration out there, with these huge figures? Hillier asks Brittin what he gets paid, after asking him to confirm chief executive of Google Sundar Picha, has been paid £138m. He says he will “disclose that if it’s relevant to the committee”. Hillier asks him to state it publicly, and Brittin says he must check the figures. “You don’t know what you get paid?” she asks, incredulous. MPs burst out laughing. Google’s evidence to the public accounts committee is due to start in the next few minutes, with the executives taking their seats now in Portcullis House. The BBC’s Norman Smith has the letter from the government’s chief negotiator, Sir David Dalton, which is the clincher for Hunt’s statement later, where he is expected to impose a new contract on junior doctors from August 1. Everyone’s first preference has always been for a negotiated outcome. Unfortunately this no longer seems possible. I therefore advise the government to do whatever it deems necessary to end uncertainty for the service [the NHS] and to make sure that the new contract is in place which is as close as possible to the final position put forward to the BMA yesterday. The government’s so-called snoopers’ charter needs “significant amendments and further work,” according to a joint parliamentary committee. The committee were particularly critical of the proposal that internet browsing records of all citizens be stored, which it called intrusive, and said the threat to privacy outweighed the value of the data to security services. Lord Murphy, who is chairing the committee looking at the Draft Investigatory Powers Bill, said more clarification is needed before Parliament can be assured the full implications of the bill have been thought through. The committee has made 86 recommendations, including more safeguards for internet and phone data collection. Earlier this week, the Intelligence and Security Committee also warned that the draft bill did not have sufficient civil liberties safeguards. Here’s some background to Hunt’s statement later. A deadline to accept the government’s “final” deal passed over Wednesday night. The government’s chief negotiator, Sir David Dalton, earlier warned this would mean talks had reached “the end of the road”. Dalton is understood to have told Hunt he sees no prospect of a negotiated settlement to the long-running dispute unless the doctors’ union agrees to give ground on Saturday working. Hunt wants junior doctors – all doctors below the level of consultant – to accept working on Saturdays as part of a new normal working week, but Dalton claims the BMA has refused to even countenance the possibility. Junior doctors and other medics are already expressing fury at the news that the contract may be imposed. An interesting line here from the Huffington Post’s Paul Waugh in his morning briefing email. Health secretary Jeremy Hunt will make a statement to the Commons on the junior doctors’ contract, after yesterday’s strike action with the BMA. This could very well turn out to be an announcement that the government will impose the contract on doctors this summer because negotiations have failed with the BMA. If Hunt does impose the contract, the doctors may then decide to pursue legal avenues. He’s expected to address MPs around noon, after an urgent question by Chris Bryant on Short Money, so I’ll cover that statement as it happens after the first hour or so of Google’s appearance at the select committee. Hillary Benn, the shadow foreign secretary is speaking now at Chatham House on “the internationalist case for Europe”. Benn campaigned against British membership at the time of the last public vote in 1975, and his father Tony Benn was and still an oft-quoted proponent of Brexit. Times have changed, Benn said, and he now believes British interests are best protected by being part of the EU. I have changed my view on Europe since 1975. I have been on a journey, not least because Britain has been on a journey too. We live in a changing world and if you look at the future challenges we face I believe the case for Europe is stronger now than ever. We have not lost our identity. The fact that we are not a member of the Euro nor part of Schengen shows that we can defend our national interest. Benn put national security at the heart of his speech on the benefits of remaining in the union, a subject David Cameron has also been focused in recent days. Let’s be clear. President Putin would shed no tears if Britain left the European Union. He would see Brexit as a sign of our weakness and of the weakness of European solidarity at the very moment when we need to maintain our collective strength. We need stronger international cooperation, not weaker. At this moment in this century, it would be an extraordinary folly to turn our back on this vitally important international alliance if we wish to help shape world events. Hilary Benn hits the EU security button “Putin would see Brexit as a sign of our weakness and of the weakness of European solidarity”. There was also a not-so-veiled dig at the ‘Out’ campaigns messaging that getting Britain out of Europe is a patriotic duty. There is nothing patriotic about diminishing the United Kingdom’s ability to make its voice heard by other nations. Narrow nationalism is not the same as patriotism. And stumbling out of Europe and pulling up the drawbridge would only serve to harm our position and influence in the world. Up at 10am, here are the Google and HMRC representatives up in front of public accounts committee chair Meg Hillier and MPs. A former management consultant and commercial director at Trinity Mirror, he has been at Google since 2007. Once told by Margaret Hodge that his company was “devious, calculated and unethical”. Tom Hutchinson, vice president, Google Inc. 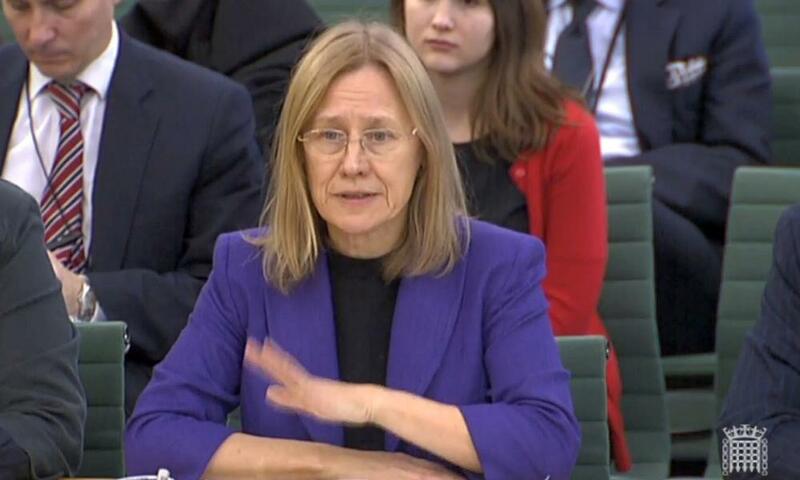 The outgoing chief executive has clashed previously with the public accounts committee over Google’s affairs, told three years ago her tax inspectors had not been tough enough with the tech giant. Google’s effective global tax rate was 17% last year, yet the tax rates in its two largest markets – the US and the UK – were 35% and 20%. Why is Google not paying its fair share? Is it fair for Google to use its lobbying and investment muscle to put pressure on politicians? Why do ‘expert’ sales staff in Ireland earn less than half that of marketing support staff in the UK? Good morning, I’m standing in for Andrew Sparrow on the live blog today, where the focus will be on Google’s evidence at the influential public accounts committee on corporate tax deals; we’ll also hear from HMRC. I’ll also be monitoring the latest from Brussels as EU leaders are given the most recent draft of the reform deal being sought by David Cameron to persuade voters to remain in the EU. Hilary Benn, the shadow foreign secretary, has also pledged his support for the In campaign this morning, despite campaigning against British membership at the last public vote in 1975. And in a BBC charter review report published today by the Culture, Media and Sport Committee chaired by Jesse Norman, MPs criticised the BBC’s so-called “luvvies letter” signed by celebrities defending the corporation. 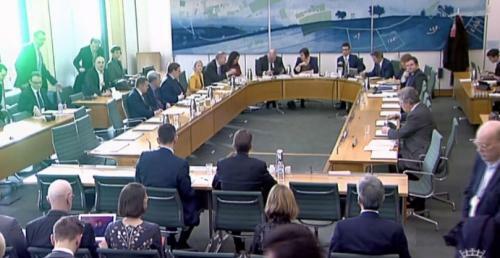 10.00 Google and HM Revenue and Customs give evidence to the Commons Public Accounts Committee on corporate tax deals. I’ll also post breaking political news as it happens, as well as curating some of the best analysis and reaction from the rest of the web, with a summary at lunchtime and in the afternoon. I’ll try to monitor comments below the line and answer questions when I can, but it may be quicker to get me on Twitter. You can follow me or contact me there on @jessicaelgot.